Novari Health™ focuses exclusively on “access to care” or how patients enter and move through a health care system. This focus makes Novari unique among software vendors. 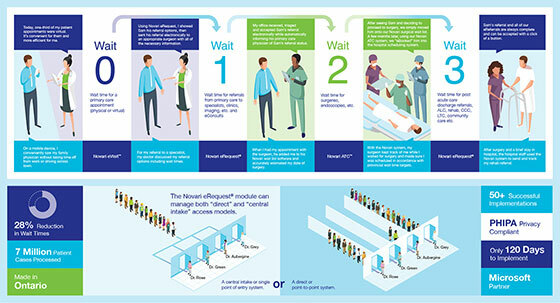 The Novari Access to Care Platform™ includes a series of integrated modules and is the only system available that electronically manages the complete continuum of care, from primary to specialist care, hospital-based care and onto post-acute care services. The research literature is clear, transitions of care between providers and care settings can be dangerous for patients. Novari’s Access to Care Platform is designed to use modern web and cloud technology to mitigate these risks while improving workflows for physicians and administrators.